In February 1979, a Lithuanian couple who believed they were being chased by Soviet agents were discovered in bushland adjacent to the suburb. Stepan Petrosys (81) and his 68-year old wife were discovered after having lived in a cave for 28 years. That small discover was too good to bury deep in my post. 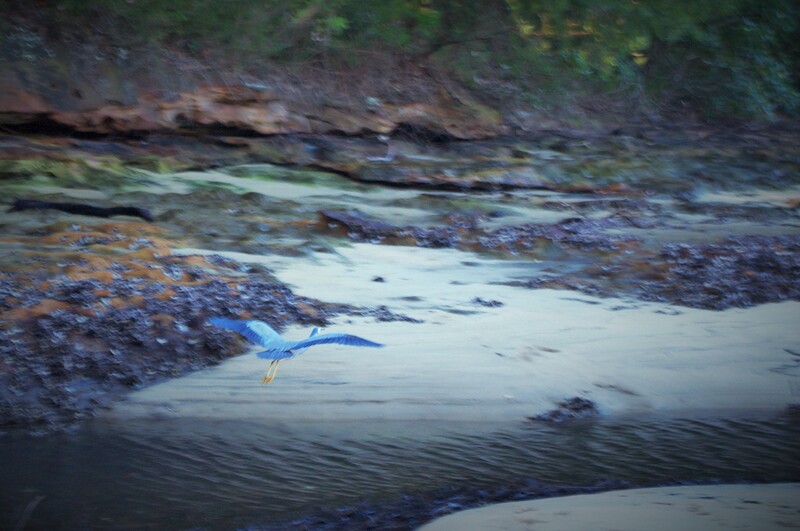 Now that is out of the way, let me tell you about Flat Rock Beach. This is the last of the beaches I visited with Mitch and I have contemporaneous notes to work from – which is good because it’s just been so long and really feels like a lifetime ago. Just to make it feel a little closer I’ve put this in present-tense. The day dawns cool and very foggy. I wish the fog will remain to give our bushwalk and beach visit an atmospheric air but know it won’t. We leave home around noon to collect Sabra – fighting Mother’s Day traffic en route. 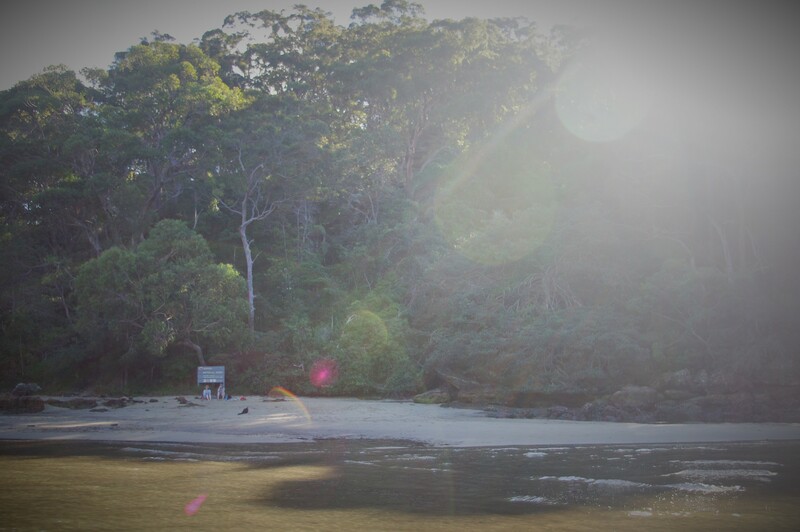 Flat Rock Beach is in Garigal National Park and on the upper reaches of the Middle Harbour. We park and join the Flat Rock Track climbing from the waterside to a ridge-line overlooking the harbour. We have views of the water all along the walk and it is glorious. The sun in warm in heat and light; it sparkles. Sail boats, motor boats, kayaks and canoes crowd the calm green water. The track is busy with families and groups of friends. Strangely, for a track that seems pretty obscure, most walkers we encounter do not have Australian accents but hail from Europe and North America. We negotiate the stairs down to the beach and find there are three or four boats at anchor in the bay of the beach. Across the water is a rising green landscape peppered with suburban houses. A waterfall of a sort sounds in the bush behind us, trickles onto the beach, and into to the harbour. We sit and snack and look. It is a glorious autumn day. We wade into the still-warm water and it is lovely. We find a typical Australian club building but with Tyrolean touches and a big Austrian flag dancing in the breeze. Emerging from the car we hear Austrian music playing and we think this is promising. Entering, we find a large hall with a stage, dance floor and a bistro on a platform looking out on the park. 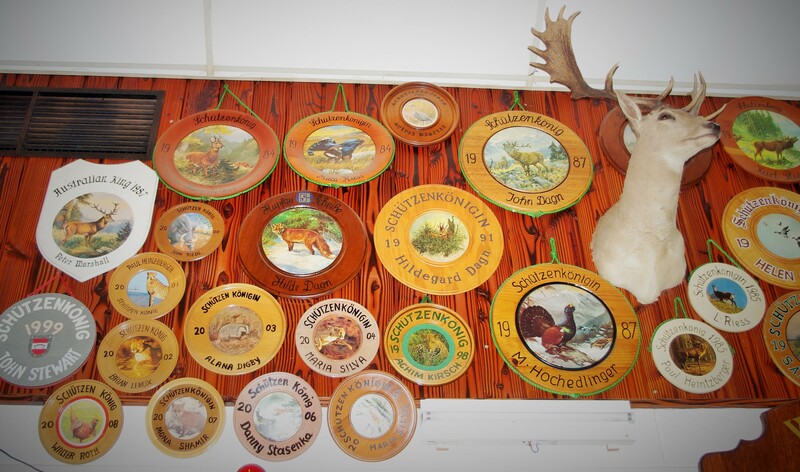 There are hand-painted plaques in German, a mounted deer head and a big display devoted to the World Cup. 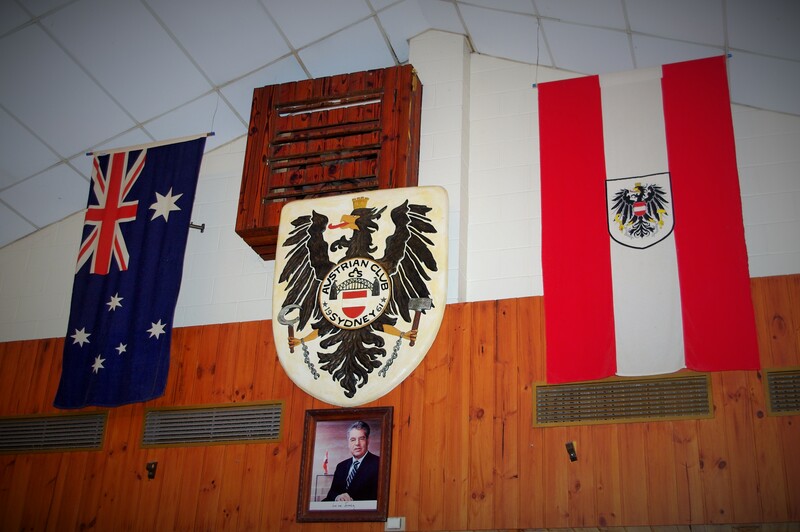 The far wall is decorated with the club shield flanked by the Australian and Austrian flags. An old tv in the corner is showing Austrian music videos. There are a couple of families in the bistro including one with one bloke in lederhosen and another in an awesome sort-of Tyrolean cap with a feather. A woman greets us in German to which we reply in English. 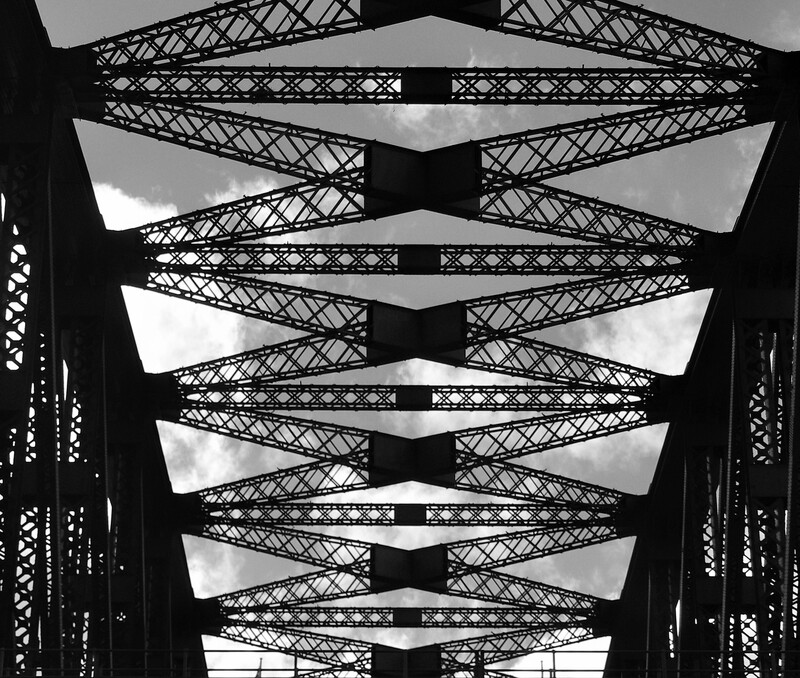 A bloke wanders over from another table – a fellow in his 70s, maybe 80s. He proves to be a bit of a fly who hovers about us chattering away but moves on when our food comes only to return when we finish. He is an Austrian-Australian – which I like a lot, just to say it: Austrian-Australian. He’d come to Australia, then went back to Austria, then to New York for a time, back to Austria then moved here permanently 57 years ago. He goes back to his village between Salzburg and Innsbruck every year. He was wearing a very Austrian-looking green sort of cardigan. 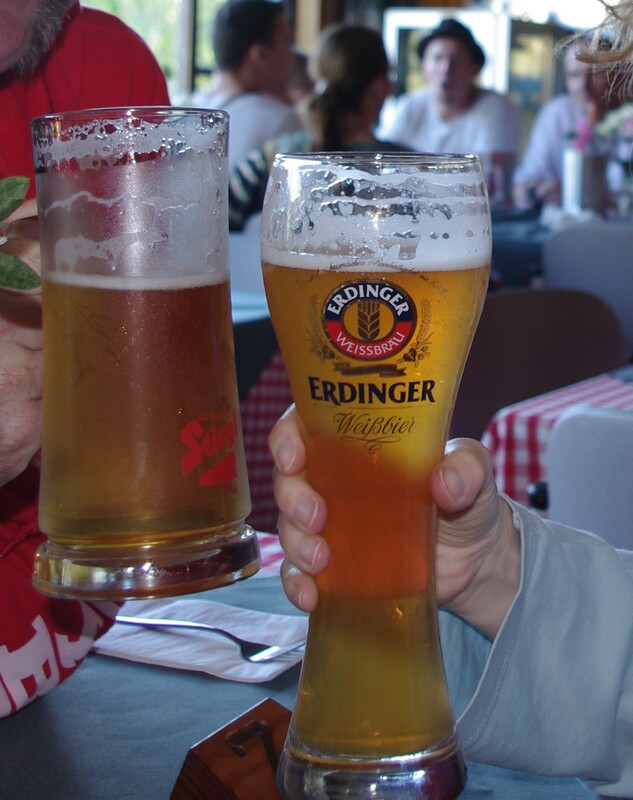 They have Stiegl and Erdinger Weissbier on tap – wunderbar. The food comes – Sabra and I both have the goulash with spätzle while Mitch has roast pork with sauerkraut and potatoes. I love my goulash. The beef just falls apart and the sauce is spicy and gravy-like. The spätzle is buttery with a few crisp bits which are very nice.We don’t need to have dessert but we do: Sabra and I have the apple strudel, Mitch has the Sacher torte. We speak with one of the waitresses – they’d just had some new people take over the kitchen – I see on-line its Erich and Kitty Koenigseder. It is all good reviews for them and we can only add our own. I explain how we’ve been at the park and spotted them on the map so came to see what they were about and how glad we did. It is really like a little quick trip to Austria in a lot of ways. Flat Rock Beach is in Killarney Heights, part of the Warringah Council Local Government Area. It’s in the Wakehurst State Electorate (Brad Hazzard, Liberal) and Warringah Federal Division (Tony Abbott, Liberal). It lies some 32 kilometres (20 miles) from Croydon Park, where I was then living.